Need help with a student who talks constantly? 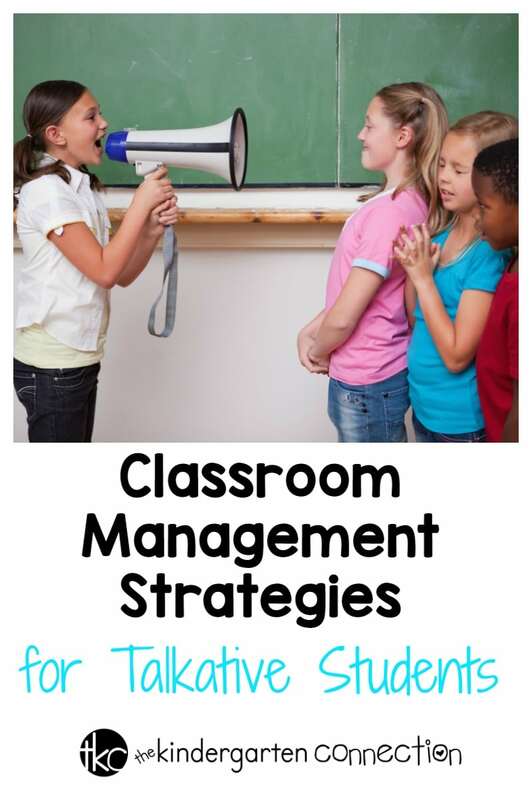 Here are three classroom management strategies for talkative students. We’ve all been there. You have just started talking to the class, and a little voice chimes in. You gently remind the child to raise their hand to be called on. After a bit longer, a little arm pops up. The same arm that matches the little voice. Another minutes goes by, and the hand is up again. Suddenly you feel like you are competing for talking time…and it’s not going so smoothly. 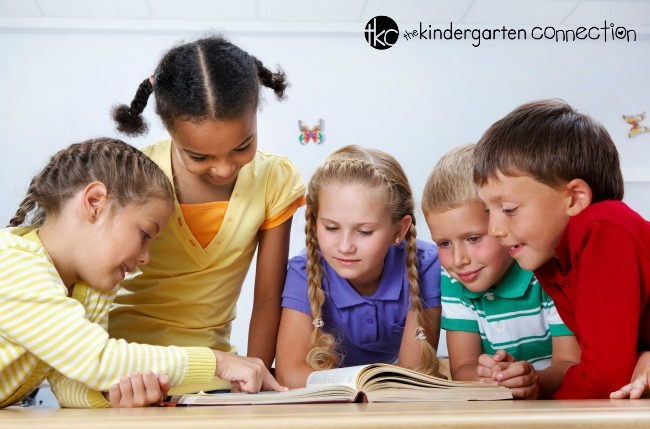 Every class has one – the one child (or more) who always has a story to share, something to talk about. It feels like endless interruptions. And the worst part is that no matter how much you let them talk, they still have more to say. Your time to teach your class is precious time, and the last thing you need it to be interrupted constantly. The good news is that you can have balance – being gentle and firm at the same time. I’ve had to learn the art of this once one of my own children was the talkative child. Living with someone who wants to talk every waking moment can be exhausting. But it also has been enlightening at the same time. 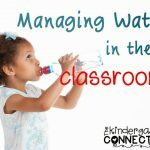 Here are three classroom management tips to help you work through those tough times with extra talkative students. Keep in mind that having a highly talkative child is normal. As annoying and frustrating as it is, having an incredibly verbal child in your class is inevitable. There will be one every single year. While some children come into school knowing to raise their hands and to take turns talking, this isn’t going to happen with every student. Although I really wish it could be that way. You are going to have to be a facilitator and help a child realize when they are interrupting and how it is not appropriate. Some children really don’t recognize that they are interrupting, even if it seems glaringly obvious to you. Make sure to do this in a nonchalant manner when you aren’t extremely frustrated. 2. Find the strength in that child. Highly verbal children can be some of your best helpers! I remember one year that I had a student who talked constantly as I was trying to lead circle time. One day out of exasperation, I asked the child to come on up to my chair and to take over for me. That moment was a game changer, for both me and my student. She loved being at the center of attention, and she also got to see what it was like to have other children try to talk over her. And I actually really enjoyed stepping back and watching her show some leadership skills in circle time. She was confident, told the other students to listen to her, and she made retelling Pete the Cat super fun and exciting. From then on, she became my “go to” student when I needed an extra hand with leadership opportunities. These students are great at being a buddy to other new students and showing them around. They are also wonderful if you need to talk to another adult all of a sudden and want someone to keep the peace in the classroom. Or if you need a witness as to what happened when you were at the other side of the classroom, this child should be one of the first ones you ask what happened. 3. Practice, practice, and praise. It takes a lot of practice to help a child who is super talkative. When it comes to my own daughter, she tests this boundary consistently, and now instead of taking it personally, I just expect it. She needs extra reminders and being mindful of this helps me keep my patience and delays my frustration. She needs me to be consistent and dependable too, following through. Read books like Lacey Walker, Nonstop Talker – this book is perfect for the talkative child. Highlight the point when Lacey realized she loved to listen too. Use puppets and role play turn taking. Sometimes it even helps to have a physical prompt for talking, such as a talking stick or microphone. At the same time, it’s important to notice these children’s efforts. Go out of your way to thank them for remembering to raise their hand. Tell them that you could tell they really wanted to talk, and they did a great job waiting until their friend was finished talking. Let them know you are there to help them talk when it’s the best time, not to prevent them from talking. 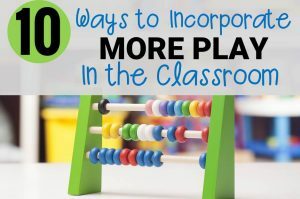 Through time, patience, and understanding, these classroom management techniques will turn your classroom talker into a leader! Katie T. Christiansen is an early childhood educator of 14 years and mama to three sweet little ones. She has a degree in Early Childhood Education and loves teaching children through play. 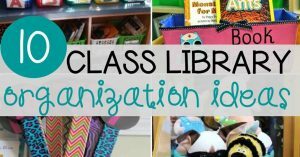 You can follow Katie on Preschool Inspirations, and see more of what she shares on Pinterest and Instagram. Thanks for this its good know l am nit alone. My 5yr (almost 6) old is a talker. I am getting a bit worried with notes from the teachers as it seems they don’t know how to handle this and pass it on to me but now l am not sure how to help them. Sorry to hear that your kiddo is struggling with talking in class. We hope that our strategies can help! Wishing you well!